You were probably instantly lost the first time you opened a set of architectural plans. Blueprints definitely have a language of their own: it comes down to a collection of symbols and lines here and there that are supposed to give an insight into a space’s flow. However, as designers, we can no longer deny the expert knowledge it requires, and we feel customers don’t deserve this technical mess. 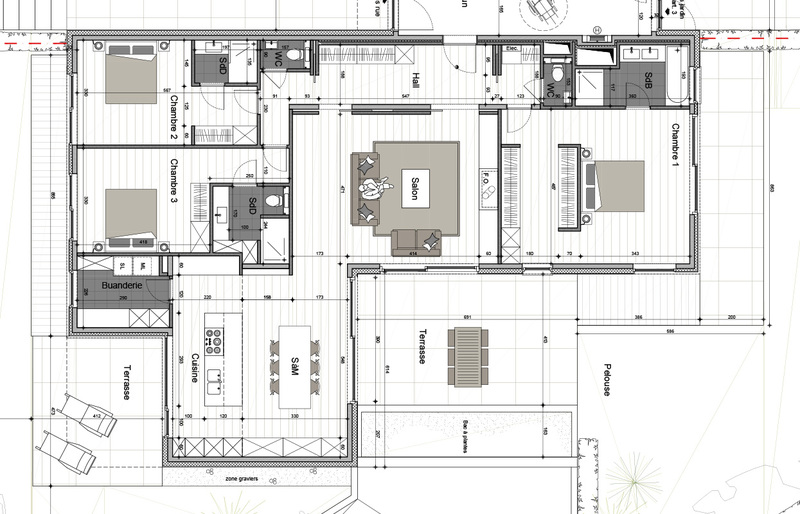 Get readable and high-quality floor plans with us. Since many of our customers are real estate operating companies, we know that complex and highly detailed floor plans can be quite misleading. We can’t tell how many times we were surprised by how different a finished building looked like from what we actually imagined through the blueprints. 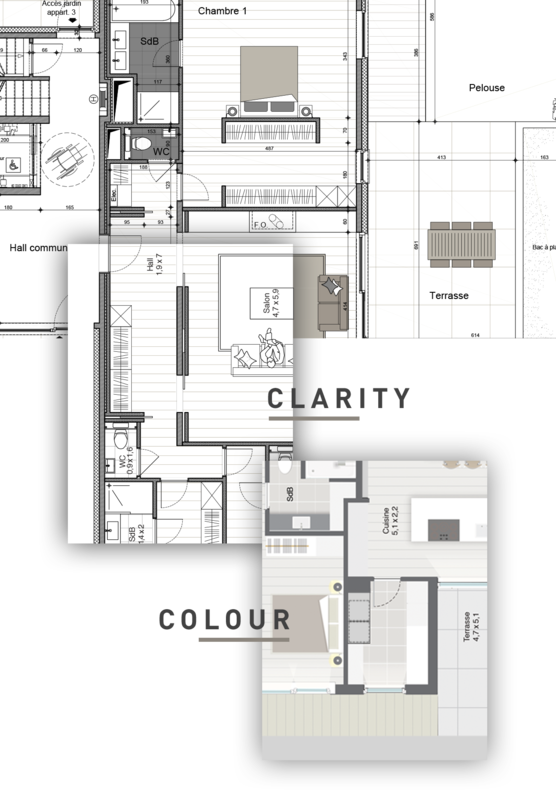 That’s how we decided to develop a new service: the creation of readable floor plans that include modest amount of information in order to communicate a design to non-professionals. We actually believe simplicity sells: the simple design drawings will be easy to use by the company’s commercial team and will increased its resale value. In order to improve your customer’s readability, we first bring clarity with color and texture. We make sure your clients have a clear view on the room layout and understand the flow of the property. 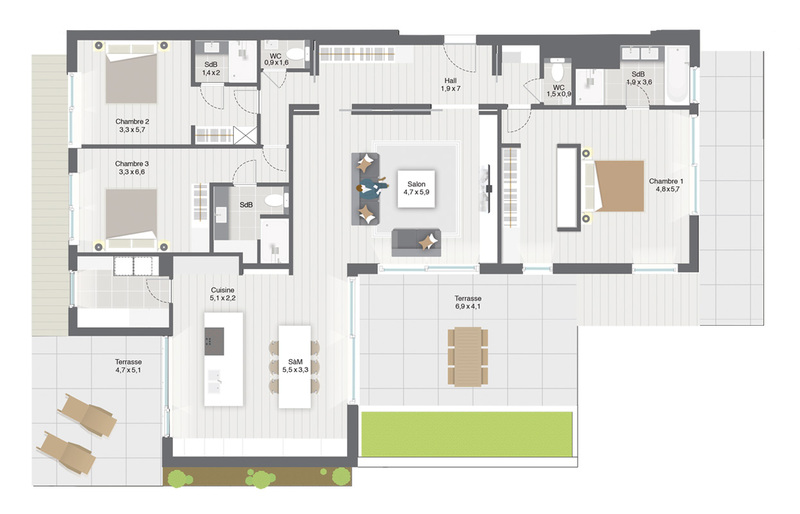 Putting life into a floor plans starts with color and texture! We help your customers feel home even before the first stone has been laid. We give them insight into a floor plan by integrating furniture and simulating various scenarios. We have a no limits mindset when it comes to making your floor plan easy to read. We feel if your prospective buyers start imagining their ideal home only by means of detailed 3D floor plans, half of the deal is already won. Your clients deserve to be privileged and that’s why we give them the opportunity to take a virtual walkthrough and discover their future project from every angle.